Long-term readers of this blog may have gathered that I’m a huge lover of all things wild. Nothing makes me happier than being totally surrounded by the spoils of Mother Nature, and whilst travelling I try to fill as many days as possible with such experiences. Here are my highlights of nature and wildlife around the world in 2012. Volunteering at an elephant sanctuary, Northern Thailand. This was a dream come true for me. I discovered the Elephant Nature Park online before I left the UK and booked myself in for a week’s stay. The work consisted of preparing food for the elephants, planting and harvesting crops and, inevitably, shovelling some poo. But we also had the opportunity to feed and bathe the elephants every day, interact with them and get to know them. 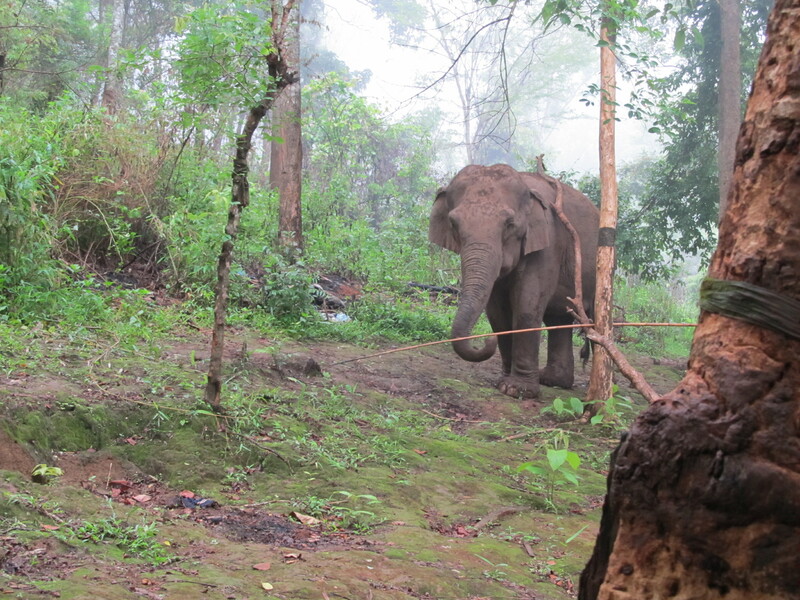 Even more amazingly, I got the chance to take four of the ellies up into the jungle for a night in ‘elephant heaven’. Trekking up the narrow mountain path flanked by these magnificent beasts was an unforgettable, once-in-a-lifetime experience. As was the task of hiking through the wilderness at dawn the following morning to locate the herd and bring them back to the sanctuary. I will always cherish the memories of my week with the elephants. 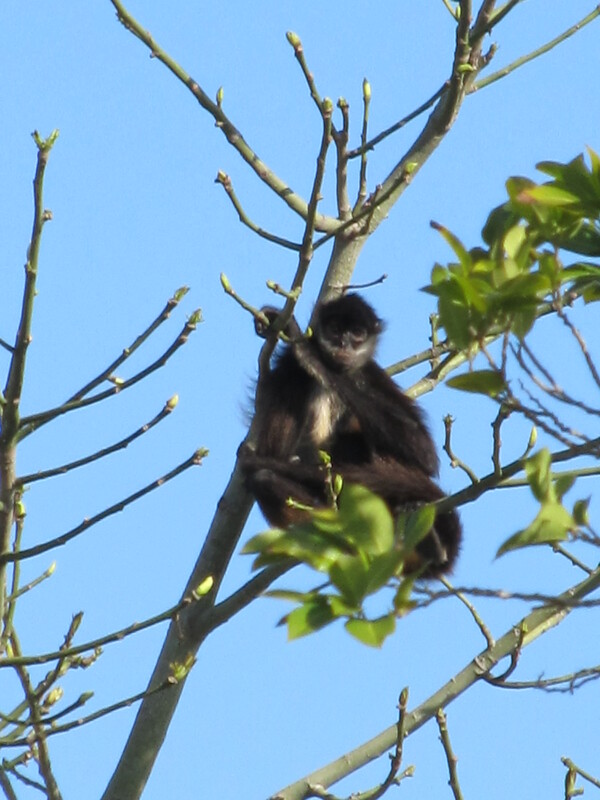 Seeing spider monkeys in the wild, Mexico. After a painfully long flight and transfer, we arrived at our eco-hotel exhausted and desperate for a shower. I was about to step under the soothing water when my mother started shouting from the balcony: “Helen, get out here, there’s a monkey in the tree!” I ran out in my towel and lo and behold, in clear view was a male adult spider monkey sitting nonchalantly right at the top of the highest branch. I was overcome with excitement. It was my first wild monkey and he was a real stunner. During the remainder of our stay on the Caribbean coast we were also lucky enough to see a female spider monkey carrying a tiny baby – all from the comfort of our balcony! Night jungle walk in Taman Negara National Park, Malaysia. Having completed a knackering trek earlier in the day which involved climbing up and down a 400m hill in the smothering jungle heat – including a panicked hour at the end when we had completely run out of water – myself and my travel companion almost didn’t bother with the night walk we had booked. But since we were leaving the national park the following morning, we dragged ourselves out and went forth. Thank god we made the effort; it was one of my all-time best natural experiences. In the pitch-black, guided only by torches, we wandered along for about a kilometre while our guide pointed out all manner of flora and fauna. I swear that man could see in the dark. 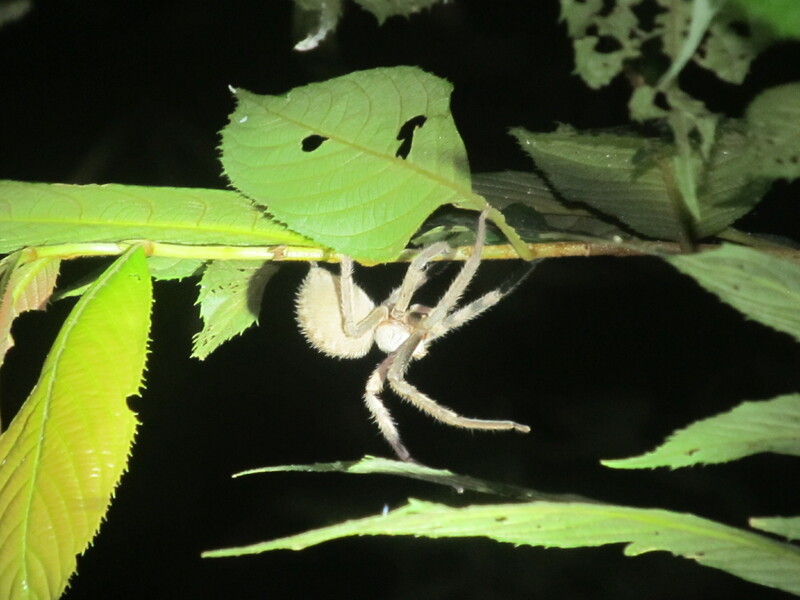 Spiders were everywhere, including a scary specimen of the largest species on the planet, the bird eating spider. Our guide coaxed a large black scorpion out of its hiding place with a twig, then shone a UV light on it so it glowed in the dark like some other-worldly being. We saw a rare deer, a bright green tree snake and numerous giant millipedes. I was disappointed at the end of the walk when we found Asian elephant dung but no wild elephants. This was soon forgotten, though, when on the way back we were accosted by a tapir which came over to give us a right good sniff. Proof that nothing ever worth doing is easy. Or, you will always be rewarded for perseverance and determination. The trek started badly, with my fellow walker Kim slipping over less than a mile in and getting coated in mud. This was before the wading began, though. Due to unusually heavy rain in the country, what were streams had quickly bulged into brown, fast-flowing rivers. And the only way across was to get wet. Armed with bamboo walking sticks we followed our guide (who was inappropriately clad in flip-flops) across the rocky-bedded rivers, legs aching against the current. Our shoes were drenched and full of stones, we were soaked right up to our crotches but we repeated the feat a further 15 times before the end of the day. Climbing a muddy path to the hill village where we would spend the night, our shoes became heavy with clay and all talk ceased as we concentrated on the difficult task at hand. The spoils were thus: lunch in a farmer’s wooden shack in the middle of a peaceful paddy field; breath-taking views over mountains lush with greenery; flourishing topography beyond compare. 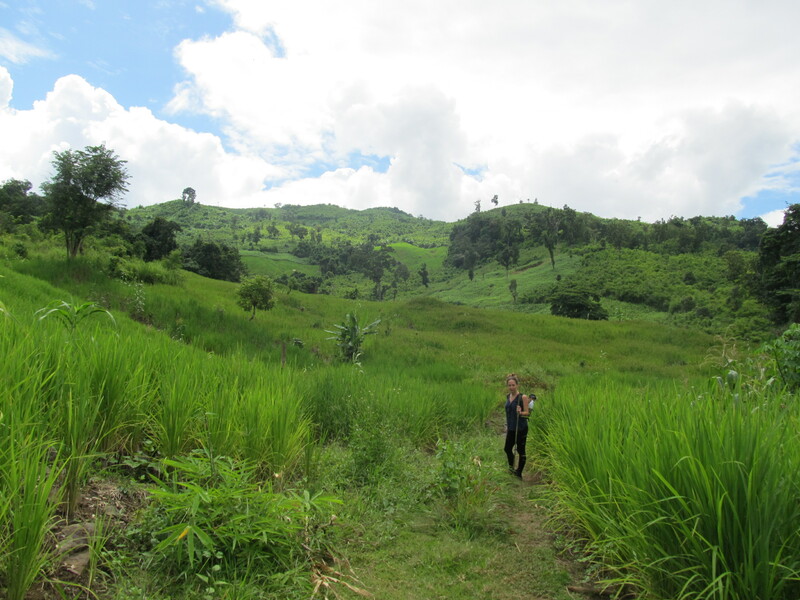 We were in the heart of the Laos countryside – just Kim, our guide and I – and it was truly magnificent. The night spent in a traditional Hmong village complete with loose piglets, chickens and children was an experience in itself. Swimming with a green turtle in the Great Barrier Reef, Australia. To my right I saw it out of the corner of my eye. A large, dark shape near the surface of the crystal water. “A shark” was my first thought, but on moving closer the green of its head and the mottled brown of its enormous shell became clear. I squeezed Zara’s hand in disbelief and we finned over to the wondrous creature. Briefly looking above the surface, I was surprised to see no other snorkelers in the area. It was just Zara and I, and our turtle. We turned to each other with ridiculous grins on our faces and followed him, watching him glide effortlessly through the water, tranquil and calming. 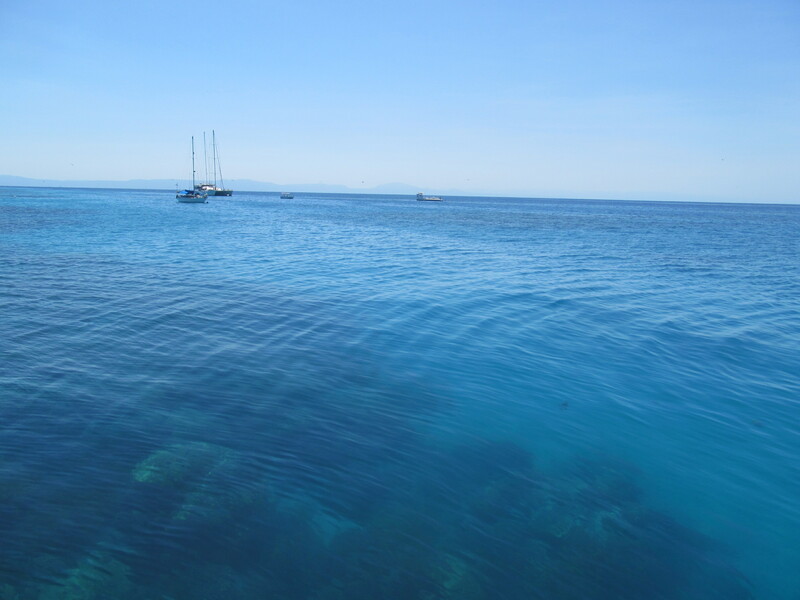 Tears of happiness sprung to my eyes as we swam over the coral and two blue-spotted stingrays raced by below. This was too magical to be real. After five minutes he started to move away from the reef and we let him go; our time with him was over. Back on the boat, it emerged that no one else had seen the turtle and I couldn’t help but feel he was there just for us, a reward for the tough year we’d both had. It’s a must-do in this country. The only part of the world you will find these great apes in the wild is in Borneo/Kalimantan. Unfortunately we didn’t have the time or money to visit there, but we had heard about a lake island on mainland Malaysia where you can see them semi-wild. It is called Orang-utan Island. Getting there proved more than a mission, but in the end it was absolutely worth it. We were guided through a fenced walkway and came tantalisingly close to those ginger beauties. On arriving by boat there were a couple of monkeys hanging out on the beach, which was an amusing sight. A small male made my day as he loped along next to the fence then spontaneously performed a forward roll in the grass. 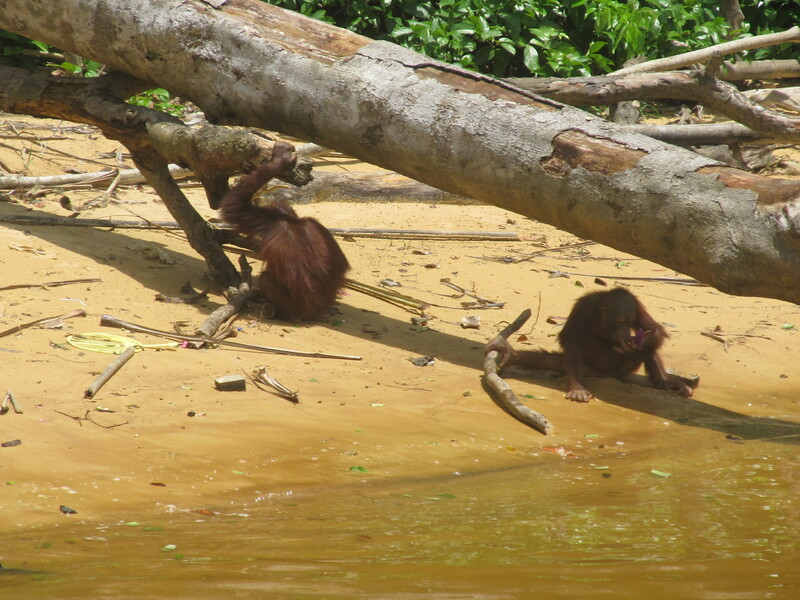 The baby orang-utans in the nursery were too cute for words and played just like toddlers. There’s something in the eyes of these animals (which share 97% of their DNA with us) that is soulful, thoughtful, and utterly humanistic. Catching a glimpse of wild dolphins, Australia. I’d been lucky enough to see a huge pod of dolphins surfing the waves from the lighthouse at Byron Bay, New South Wales. There were about 30 of them just off the shore, with the surfers and swimmers in the ocean seemingly oblivious to the natural wonder a few waves out. 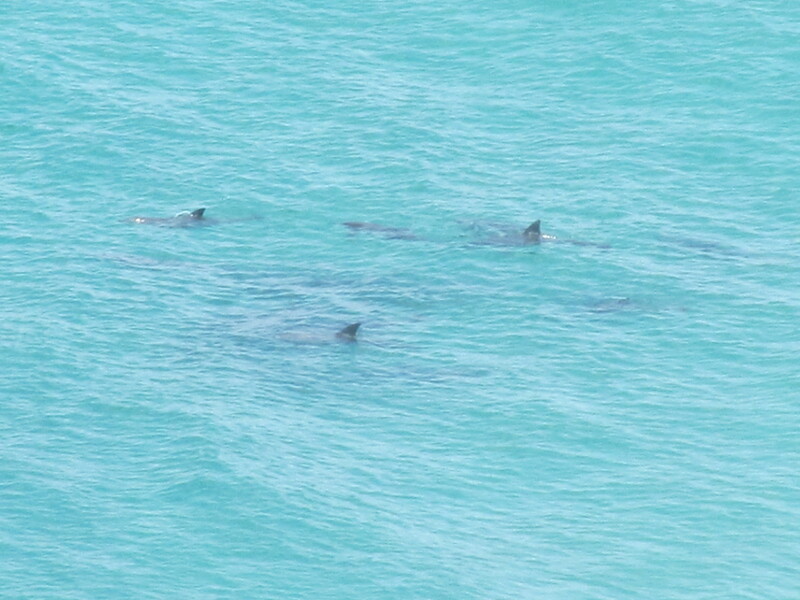 However, a couple of weeks later I got an even closer encounter with these playful porpoises. It was the middle of the night on our boat, Condor, in the Whitsunday islands. We were out on deck enjoying a few quiet drinks when all of a sudden the captain shone a spotlight out into the sea. There was the dolphin, swimming round and round our boat, jumping out the water and having a ball. Excitedly, we gathered around and watched. Soon we were joined by a second dolphin, this one a female with a tiny baby barely a metre long swimming alongside her. It was an amazing sight and I felt we were being treated to something very special as they continued to visit the boat for the next two hours. Incredible and wondrous. I hope to add to these natural encounters in 2013 with further travel in Australia, New Zealand and a bit of diving and snorkelling in Fiji. I’d love to hear of anyone else’s best brushes with nature around the world!